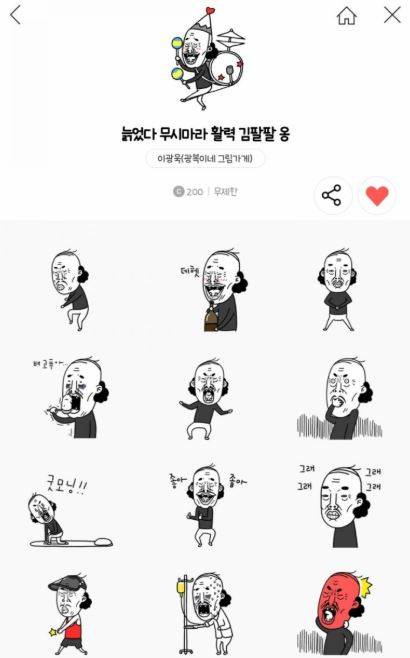 Kakaotalk is the most popular messenger in Korea. 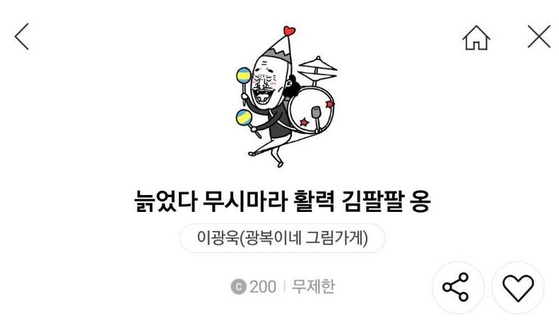 Of course, BTS members use it too. 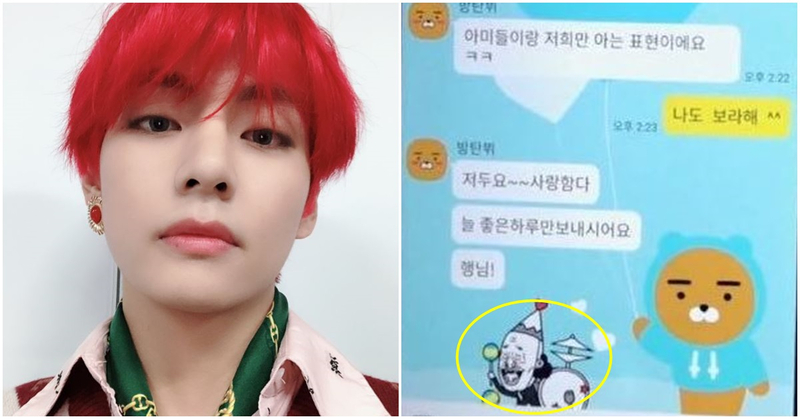 On Twitter or on live broadcasts, BTS members having conversations on Kakaotalk is often spotted. 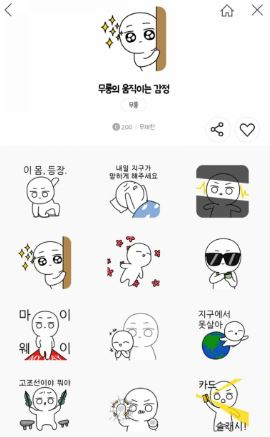 This time, the emojis that V uses in his practical life are revealed and it has caught fans' attention. 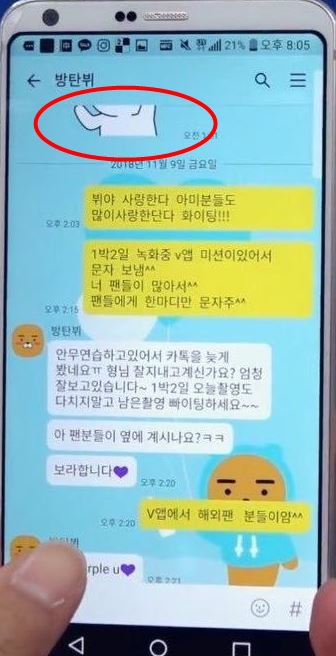 Last month, on KBS 2TV 2 Days & 1 Night, during app mission, Kim Joon-ho made an attempt at conversation with V.
The following is how the conversation went between them. Kim Joon-ho (2:03 PM): I love you V. And I love ARMY too. Keep it up!!! Kim Joon-ho (2:15 PM): I texted you because I had a V app mission on 2 Days & 1 Night^^ There are lots of fans of yours^^ Can you say something for them? V: I love you too~~ I hope you all the best! After the conversation was revealed, fans said that they couldn't help but fall in love with V's sweetness. It was because even though V texted Kim back in 5 minutes, he still explained why he wasn't able to text right back. From this conversation, some fans who were quick enough were able to pick up on what emojis V use. 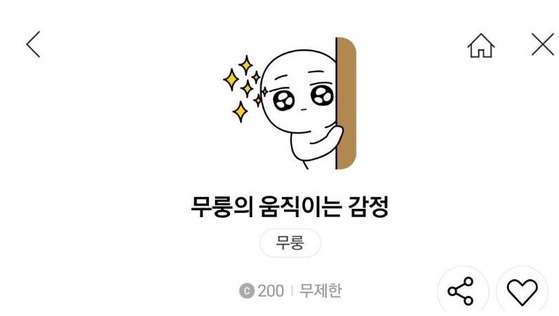 The emojis that V used to Kim Jooho are 'Do not disregard! Spry the old Mr.Kim' and 'Moving Moorung'. 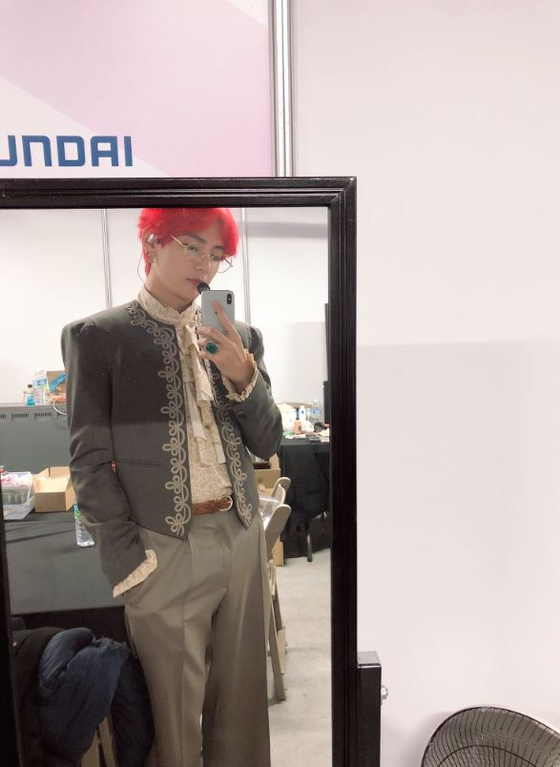 It has elicited a response from fans such as "V only uses emojis that are as cute as himself is".